Home / News / San Francisco Just Passed the Largest Tax Increase in City History. It's Anybody's Guess if It's Legal. San Francisco Just Passed the Largest Tax Increase in City History. It's Anybody's Guess if It's Legal. San Francisco voters just passed a huge tax increase on business to pay for homelessness services, but it's anyone's guess if the new levy is legally enforceable. On Tuesday, some 60 percent of Bay City residents voted in favor of Proposition C, a ballot initiative that would raise an estimated $300 million a year for housing, mental health treatment, and other services for the city's 7,500 homeless residents through a hike in the city's business gross receipts tax. That's a huge amount of new revenue, increasing the take from the city's current business taxes by some 33 percent, and nearly doubling the $380 million the city currently spends on the homeless. Because it's a gross receipts tax, it would tax companies' total revenue, regardless of how profitable they are. The specter of such a huge tax hike—the largest in the city's history—proved controversial long before Tuesday. San Francisco mayor London Breed, State Sen. Scott Weiner (D–San Francisco), and many of the city's tech businesses came out against it. Despite a commanding win at the polls, the future of Prop C is still very much up in the air thanks to a confusing court ruling which has left California's cities unsure of what percentage of the vote tax initiatives must win to become law. The California Constitution requires that "special taxes"—those dedicated to funding a specific government program—must be approved by two-thirds of voters. That would seem to invalidate Prop. C, which garnered only 60 percent of the vote. In October 2017, City Attorney Dennis Herrera sent a memo to city election officials saying, "[I]t seems very likely that voters may now propose special taxes by initiative subject only to a majority vote." That would include Benioff, who's urged the city to get spending, legal consequences be damned. "Let's enforce Prop. C. There's no legal question. 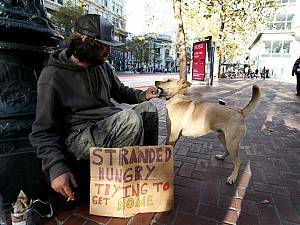 If anyone is coming after this, the City Attorney's job is to defend it, and of course we are going to give him our full support as well," Benioff told the San Francisco Examiner on Wednesday. "Should Proposition C fall short of approval by two-thirds of voters," wrote Rosenfield in a Wednesday letter to Breed, "my office would not be able to certify these funds given current legal uncertainties." "If it passes, Proposition C will likely immediately become part of an ongoing lawsuit to invalidate it," she wrote in an October blog post, warning that "the lawsuit could go on for years, preventing us from even moving forward similar homelessness funding measures. The City could be left balancing its budget with a $300 million unknown baked in." In that same post Breed also laid out a number of policy objections to Prop. C, saying the initiative's spending plan is both vague and unaccountable. A growing consensus among experts is that "housing first" approach—where you get the homeless into permanent housing first and then get to work solving other substance abuse or mental health issues—is the way to go. That's a tall order in a city that managed to add only 1,400 units of affordable housing last year, and where publicly-funded affordable housing can cost as much as $700,000 per unit to construct.